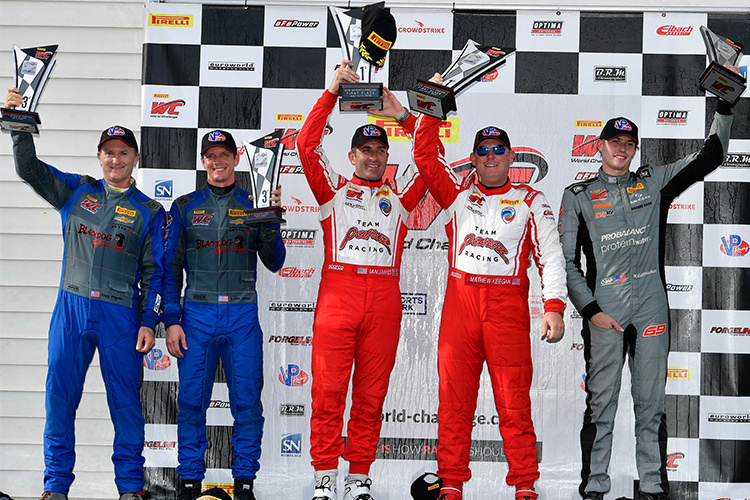 Ian James and Mathew Keegan put the #50 Panoz Avezzano back on the top of the podium at Portland International Raceway with a late-pass on the penultimate lap in Race 1, securing their fourth straight win. Preston Calvert takes home his first win in the #51 Panoz Avezzano following an impressive final-straight pass in Race 2. July 15, 2018, Portland, Or. 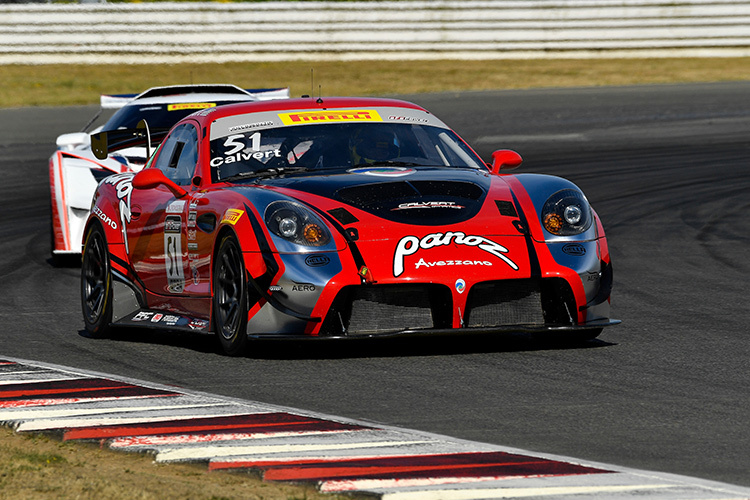 – Team Panoz Racing enjoyed a very successful race weekend at Portland International Raceway. Ian James was joined by Mathew Keegan in the #50 Panoz Avezzano with Preston Calvert in the #51, both competing in rounds seven and eight of the GTS Sprint-X Championship and both cars achieving wins. Qualifying Saturday morning, Keegan put the #50 in fourth on the grid, just a tenth off being on the front row. Starting the first race, Keegan progressed to third before handing the car to James with a little under 30-minutes remaining. 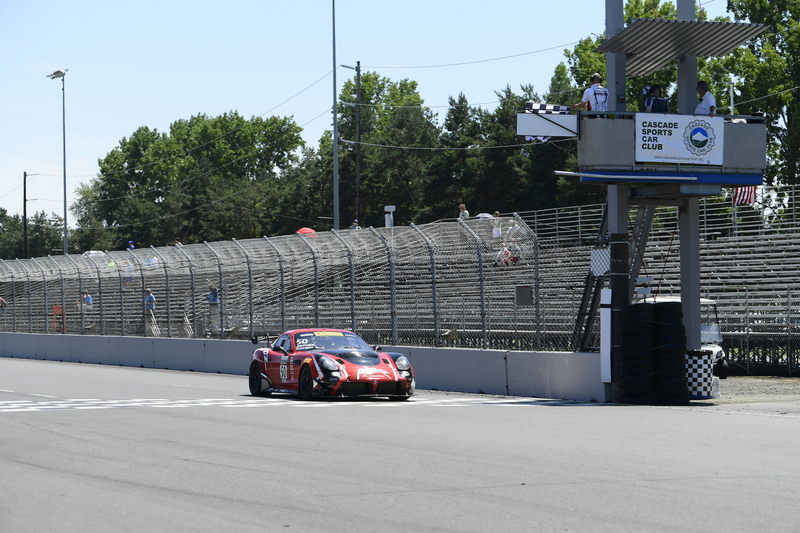 During his stint, James secured a front row starting position with a lap time of 1:17.803 for Race 2, and had the car in second until the penultimate lap, where a late pass past Harry Gottsacker in the #69 brought home a fourth-straight victory for the #50 Panoz Avezzano and Team Panoz Racing. 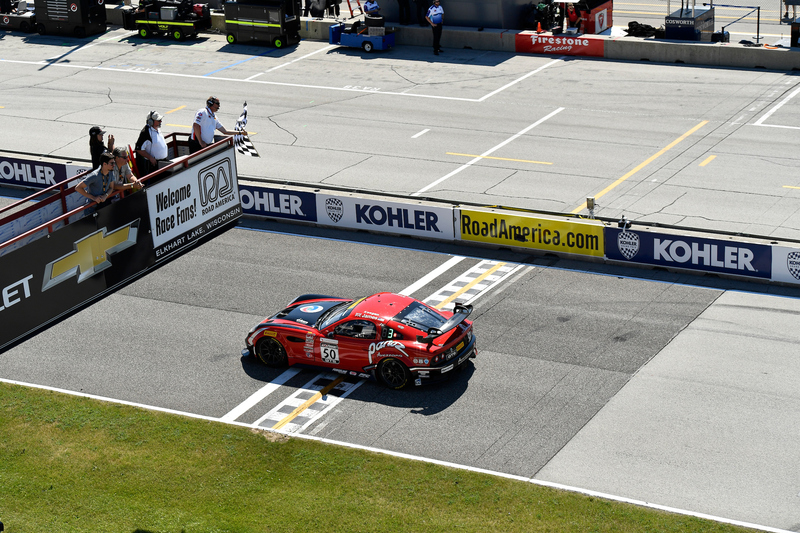 After showing serious promise in Friday’s practice sessions, luck was not on Calvert’s side in qualifying and a differential issue meant the #51 started Race 1 in 19th. During the first lap, Calvert was up eight positions to 11th before a spin on the second lap dropped him back to 31st. Calvert expertly navigated traffic and ended the race fourth in class, 14th overall whilst securing a starting position of third in class, 14th overall on the grid, for Race 2. Calvert stole the show in Race 2. Hustling through the traffic he made his way up to eighth overall but on the last lap put in a class-winning pass to secure his first podium and first win in the #51 Panoz Avezzano. James started Race 2 in the #50 second on the grid. With the start not going to plan and being pushed out on the first corner and dropping back to fourth, James fought back and handed the car to Keegan at the half way point in third. Keegan put on a strong performance on the tails of the leaders and moved the #50 up the leaderboard, taking the chequered flag in second. 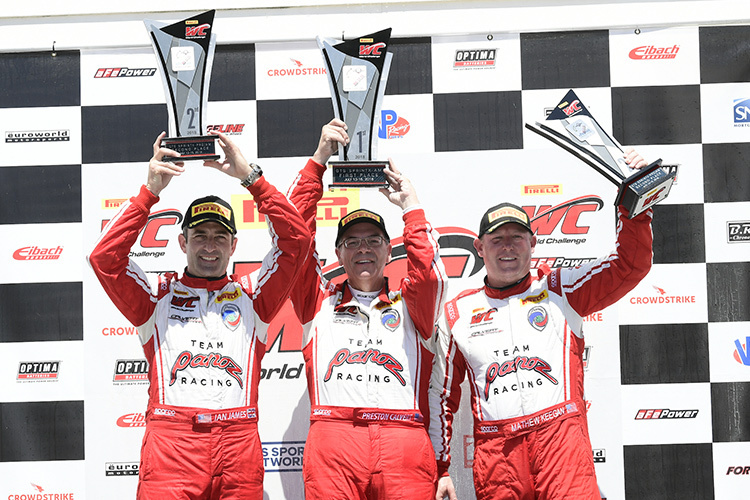 A fantastic result for the Team Panoz Racing crew with both cars on the podium and proving the ability of the Avezzano to be a fast, strong-performer amongst the GT4-spec race cars. 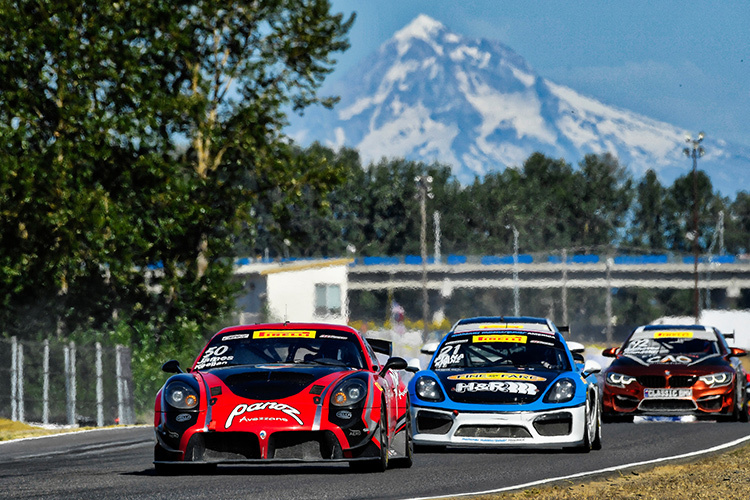 Next up for Team Panoz Racing is the final round of the PWC GTS Sprint-X Championship, rounds nine and ten at the GP of Utah, August 10-12, 2018, Utah Motorsports Campus, Tooele, Utah.